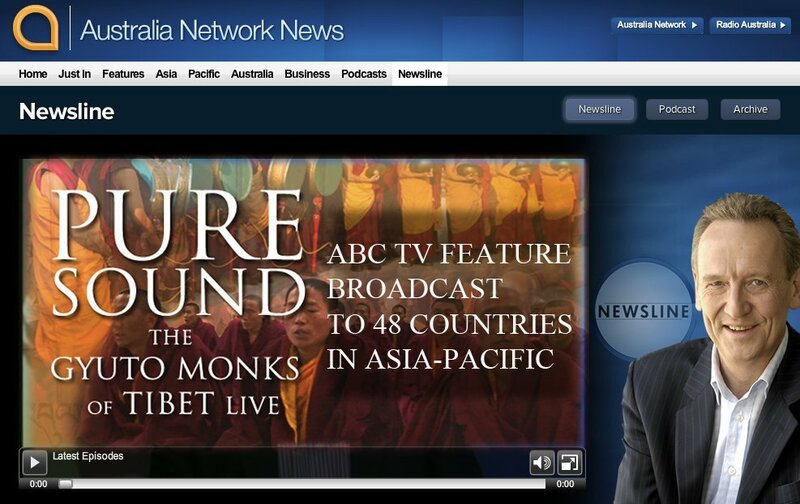 The nationally broadcast ABC program, Asia Pacific Focus, ran this in-depth story on Pure Sound: The Gyuto Monks of Tibet. It was also broadcast to the Asia Pacific region. Great work by reporter Kate Arnott, Click on the image below to view the complete feature.